It’s that time of the year? It’s time for Spring Cleaning! Out with the OLD and in with the NEW or slightly used! 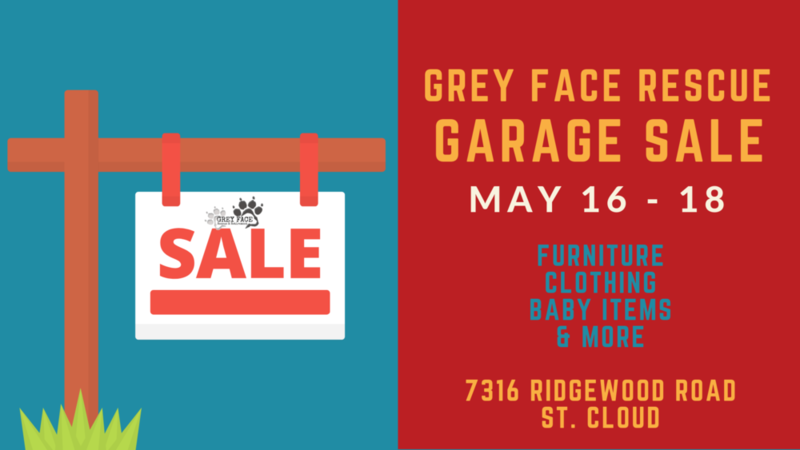 Grey Face Rescue is hosting a garage sale fundraiser May 16 - 18 at our indoor dog park at 7316 Ridgewood Road in St. Cloud. Find your newest treasures and give back to our senior dogs in need! If possible, please price items before drop off. Drop off will be May 14-15th from 5:00 PM - 7:00 PM. We ask that you do not bring items prior - space is limited.